Khaled El Nabawy is an Egyptian actor. 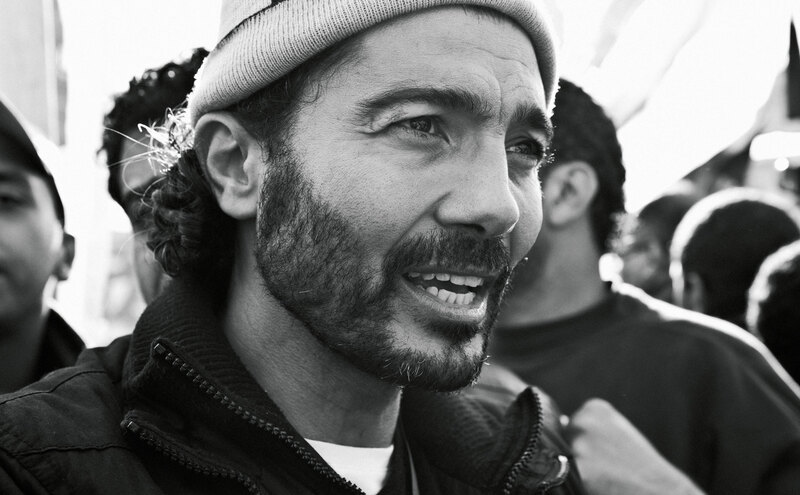 His credits include Kingdom of Heaven, Fair Game, El Mosafer (The Traveller), Hassan Tayarah and El Dealer (The Dealer). I first went to Tahrir on January 28th and I have been very happy ever since. I never thought I would feel this happy. My joy has always been reserved for the cameras, and it was beyond my wildest dreams that I could feel this happy in real life. From the first day of this revolution I felt that something great was about to happen. It’s the most important event that happened to any nation. We are unified as one, all of us looking for a better life and a better future for our kids. You felt it not just in Tahrir Square but everywhere in Egypt. Finally the people were unified and what more could we have hoped for? It’s also great that this revolution came from the people and not from a leader. But I believe we will have a leader very soon. The people will choose one and the people will introduce him to the nation. It’s great that people went to the streets, to talk for themselves loudly, and hopefully one of them will lead this nation. And I hope he’s young, maybe around 40 years-old. The youth showed great courage, they were very brave and the world cried when they saw them getting arrested or beaten. We cried because of their courage and bravery. Everybody was in Tahrir Square because people believed in the youth, their honesty, and their love for Egypt. Wael Ghonim doesn’t need money, Ziad El Eleimy doesn’t need money. But they have a passion for this country, they love this country and they have dreams for this country. Without dreams you cannot live; you cannot achieve anything. The Egyptian people were not against a certain ruler. The people in Tahrir and across the country wanted to change Egypt and wanted the regime to be removed. If you are part of the problem you cannot be part of the solution. For the past 30 years, most Egyptians have been looking for another citizenship and this is really sad. I’m here because I want my kids to be raised and educated here. In the 1950s and ‘60s everyone was coming here to be educated in our universities and schools. Now we go abroad. But that will change now. Before the January 25th movement, we were living in a country of monopoly. With monopoly you cannot develop a nation and you cannot improve yourself. Only with competition can you improve yourself and your nation. I went to show my support for the revolution because I believed in what they were fighting for.